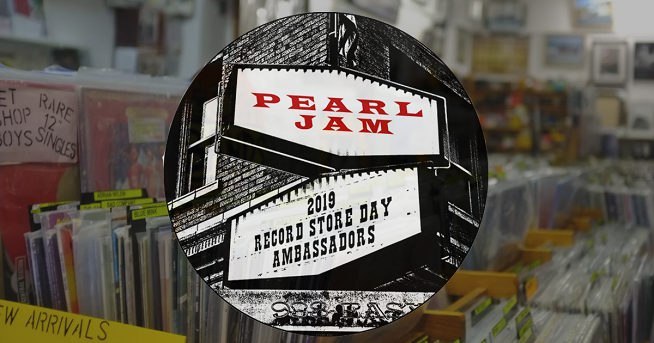 Everyone’s favorite grunge forefathers, Pearl Jam, have been named the official ambassadors of Record Store Day 2019. The annual celebration of independent record stores across the globe falls on April 13th bringing all sorts of exclusive releases to the shelves. Pearl Jam guitarist Mike McCready released a video to accompany the announcement detailing the important role record stores played in his life. Pearl Jam joins a long list of notable Record Store Day ambassadors including Run The Jewels, St. Vincent, Dave Ghrol, and Metallica, who performed an in-store at Rasputin’s in San Francisco on the first ever Record Store Day. Founded in 2007, Record Store Day has brought important awareness to the plight of the independent music retailer and has spawned an organization that “works with both independent and and major labels throughout the year to create contests, special releases and promotions in order to spotlight the benefits of supporting these independent, locally owned stores with music purchases throughout the year.” according to their website. The Record Store Day organization has also worked to maintain the resurgent interest in vinyl by founding the Making Vinyl conference in 2017, as well as promoting their Small Business Saturday initiatives to help support independent retailers during the holiday season. Check out the list of independent stores participating in this year’s Record Store Day and keep your eyes open for exclusive releases being announced over the coming weeks.